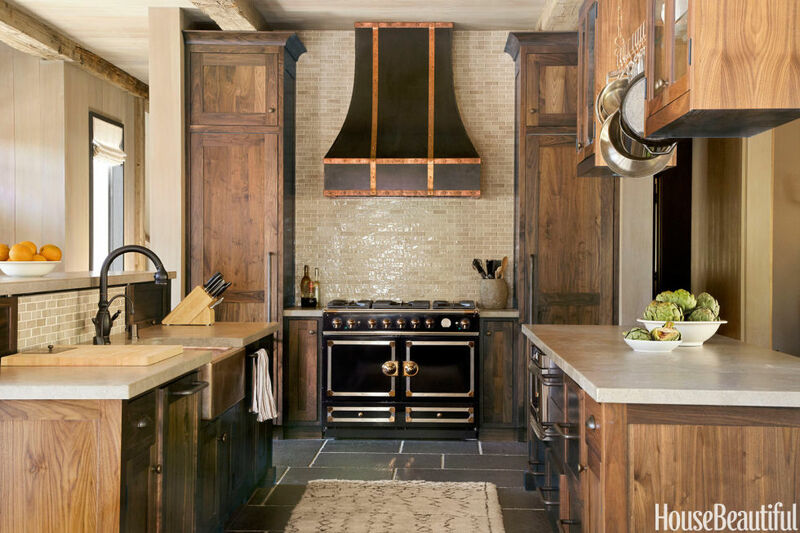 There was a time when kitchens took a backseat, literally, and were tucked away into a quiet corner at the rear of the house. Their purpose was simply to provide food. Aesthetics, comfort and convenience did not figure in the picture. They were built with the express purpose of fulfilling the chore of cooking and nothing else. Thus, it was common to find badly ventilated kitchens with ill-fitted cabinets, ill-suited kitchen counters, stained floors, badly constructed sinks, to name a few, all structured to make cooking a tedious, unattractive task. But that was in the past. With women becoming more exacting in their choice and certainly loath to fulfil this task in a badly designed room that is positive to depress than cheer, kitchens have now transformed into state of the art pieces perfected to make a statement. Kitchens are no more a woman's domain, to be used just for the purpose of cooking. They have morphed into family rooms, where the open kitchens extend on to living rooms. Kitchens with a theme, kitchens blending with a breakfast room, kitchens opening on to a courtyard are just some of the features characterising this new age kitchen. A small kitchen too can pack in unique designs that can make a statement. Rashi Agarwal Designs will help you make a statement kitchen befitting your specific needs.